We are all required to drink enough water in order to stay hydrated, which is normally considered sixty-four ounces every day. But what if you run out of drinking water in your house? Do you drink tap water? However, it is not guaranteed that tap water is free from all contaminants. In that case, why take the risk? Why not just take it upon yourself to give your family the protection they need from undetected contaminants in tap water? Insure your family is safe and stays healthy by investing in a water filtration system for your home. Our water supply is disinfected using chlorine to eliminate any contaminants that would be a danger to consume. Chlorine is a very strong disinfectant but at the same poses health risk without filtering it out. To protect against these byproducts, water filtration system for home can be used. Water filtration systems are applications that address impurity concerns of the water when it enters the point-of-entry of a premise. As a result, clean and clear water is distributed to every water outlet in the location. There are a few water filtration series available for use. 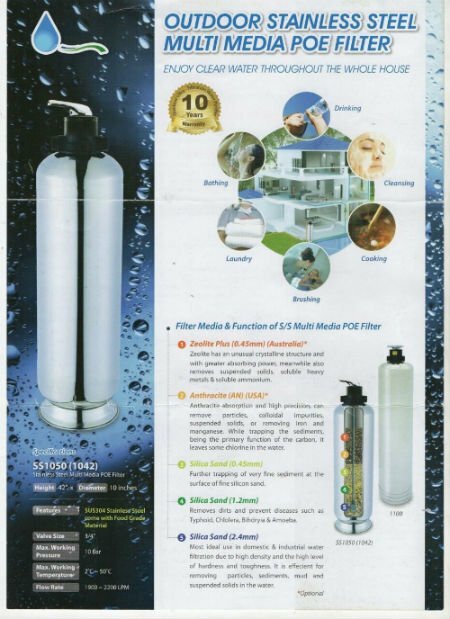 Patented technology that provides simple, robust, user friendly yet durable means to recondition the water filter.- Activated Carbon: Removes foul taste, color, odor, chlorine, by-products, organic matters. So there it is–a complete look at how a water filtration system works. Although water quality is checked before it enters premises, it is always beneficial to be safe than sorry. Mistakes do happen, and taking the steps to insure that your family’s health does not fall victim to any contaminants is extremely smart. Allowing a filtration to guard you against water impurity will have positive consequences in the long run. You will no longer need to invest in bottled water. 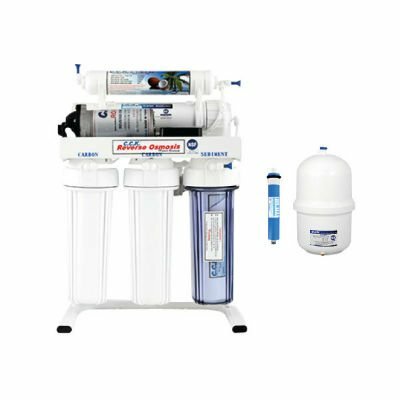 Get the water filtration system for your home and you will not only save money, but you will also protect your family’s health. If your home is not convenient to have a filtration system installed due to improper piping at your residential area; you can have a drinking water supply delivered to your home too.